3x12" version. Includes download code. 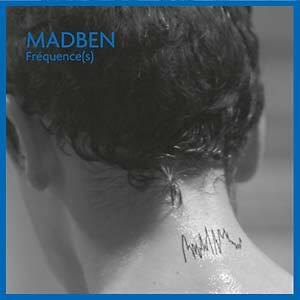 Since his emergence in 2010, Madben's melodic, Detroit-inspired techno evolved, with various releases on Caduceus, Astropolis Records, Off Recordings, Inflyte, and Bedrock. Nowadays, the Paris-based artist remains a key figure in France's new generation of techno producers, with an upcoming debut LP on Astropolis Records. Swinging from atmospheric sounds to techno, Madben produces an alchemy of rave anthems, hardware material and groovy, emotional music. With support from France's favorite Laurent Garnier, Manu Le Malin, and Rebekah Warrior, Fréquence(s) unveils his skillful, mature universe. 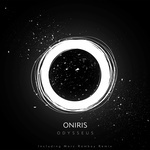 The opening track "Space Bubbles" carries a cinematic, ethereal touch designed for dancefloor, from dusk till dawn. "Mouvement Circulaire" sets out a slow hypnotic rhythm, leading to "Narcotica" and its warm melodies. "MG's Groove", produced with master Laurent Garnier uncovers Madben's house moves, percussive beats, and distorted synths. "Reminiscence" and "Stripes" wink at Madben's earlier melodic techno imprints, while "Don't Lose The Beat" uses old school vocal as the LP's boiling point. Modern techno vision is underlined with tracks such as "Tom & Tom" and "The Struggle", both waving between UK inspirations, aerial sounds, and Ben's original signature. Featuring Manu Le Malin and Rebekah Warrior, "Grief, Dance To Death" stands out from the rest, swaying betwixt French vocals and rave spirit, whereas the album's last piece, "Lunar Park", ends the journey with a gripping ethereal melody.